**Praised by RJ Palacio as “wondrous”—this moving memoir follows a teenage boy with TC syndrome and his exceptional family from diagnosis at birth to now. “This touching memoir is a must-read for anyone who wants to know more about the real world experiences of a child with craniofacial differences and his extraordinary family. It’s also more than that. It’s a story about the love between a mother and a son, a child and his family, and the breadth of friends, helpers, and doctors that step in when the unexpected happens. 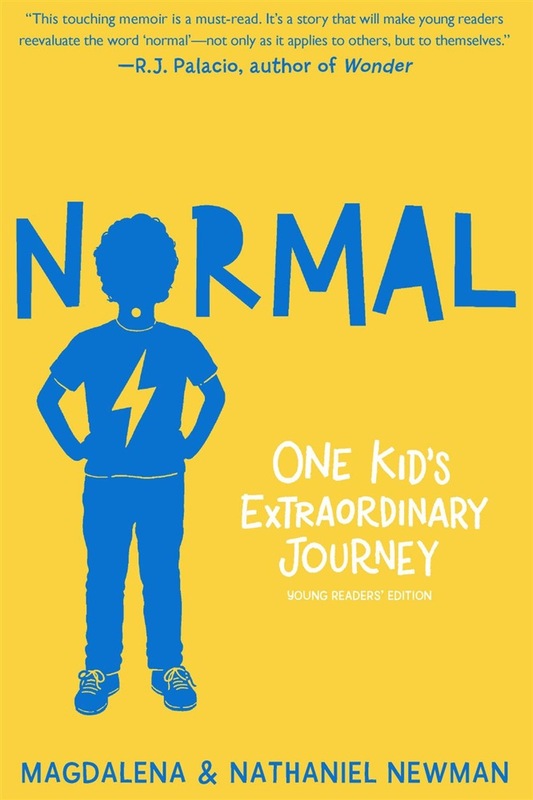 It’s a story that will make young readers reevaluate the word “normal” — not only as it applies to others, but to themselves. Any book that can do that is pretty wondrous, as far as I’m concerned.” —R. J. Palacio, author of Wonder** Normal. Who is to say what this word means? For Magda Newman, it was a goal. She wanted her son, Nathaniel, to be able to play on the playground, swim at the beach, enjoy the moments his friends took for granted. But Nathaniel's severe Treacher Collins syndrome—a craniofacial condition—meant that other concerns came first. Could he eat without the aid of a gastrointestinal tube? Could he hear? Would he ever be able to breathe effortlessly? But her son, Nathaniel, looks at “normal” from a completely different perspective. In this uplifting and humorous memoir that includes black-and-white comic illustrations, mother and son tell the story of his growing up—from facing sixty-seven surgeries before the age of fifteen, to making friends, moving across the country, and persevering through hardships. How they tackle extraordinary circumstances with love and resilience is a true testament to Magda and Nathaniel’s family, and to families everywhere who quietly but courageously persist. Acquista Normal in Epub: dopo aver letto l’ebook Normal di Nathaniel Newman, Magdalena Newman ti invitiamo a lasciarci una Recensione qui sotto: sarà utile agli utenti che non abbiano ancora letto questo libro e che vogliano avere delle opinioni altrui. L’opinione su di un libro è molto soggettiva e per questo leggere eventuali recensioni negative non ci dovrà frenare dall’acquisto, anzi dovrà spingerci ad acquistare il libro in fretta per poter dire la nostra ed eventualmente smentire quanto commentato da altri, contribuendo ad arricchire più possibile i commenti e dare sempre più spunti di confronto al pubblico online.